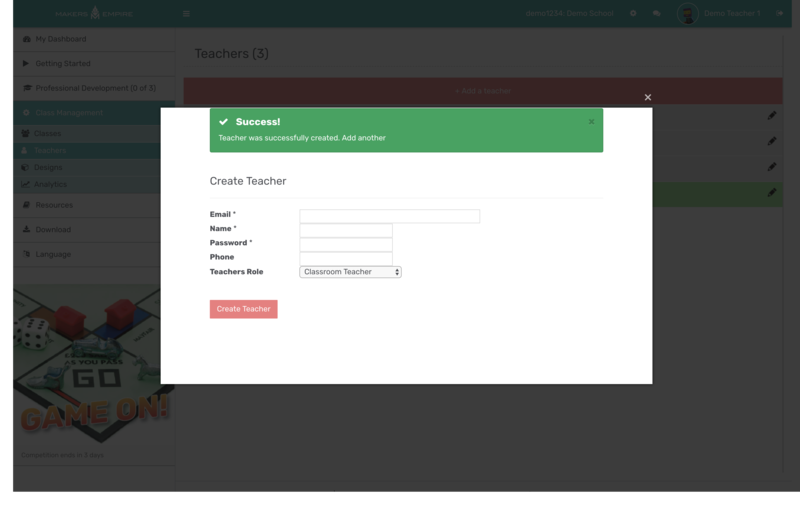 To add or remove teachers from your school, first login to the Teachers Dashboard by clicking Teacher Log In at https://www.makersempire.com (top right). 1. 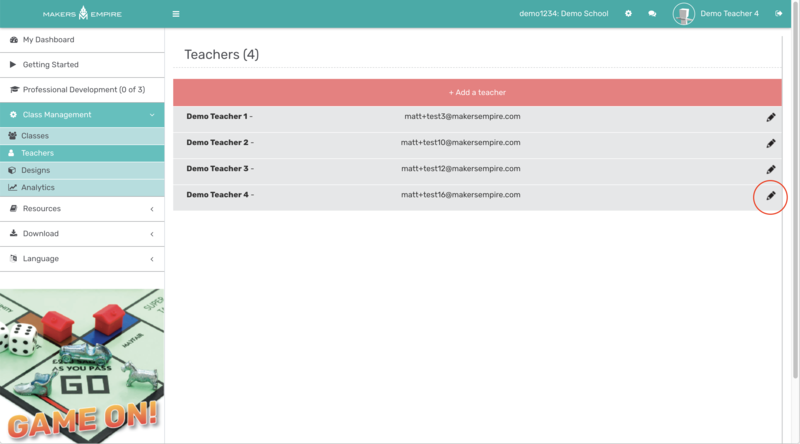 In the Teachers Dashboard, select Class Management > Teachers. 2. Click the pink + Add a teacher button. 3. 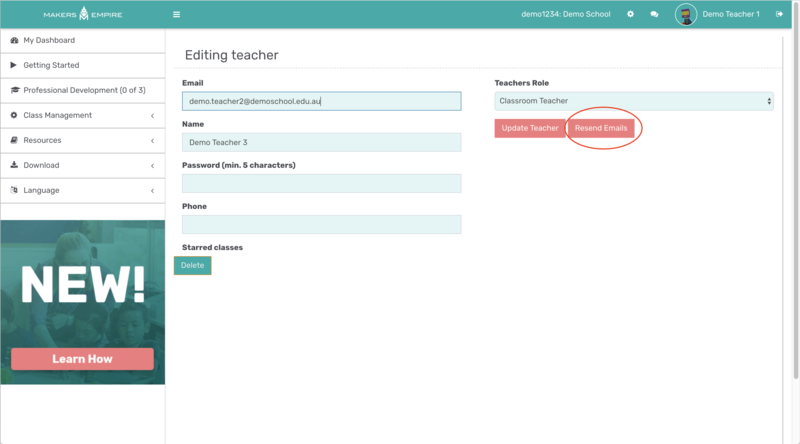 Enter the new teacher's details and click the Create Teacher button. 4. You will see a message "Success!..." to add another teacher simply repeat step 3. 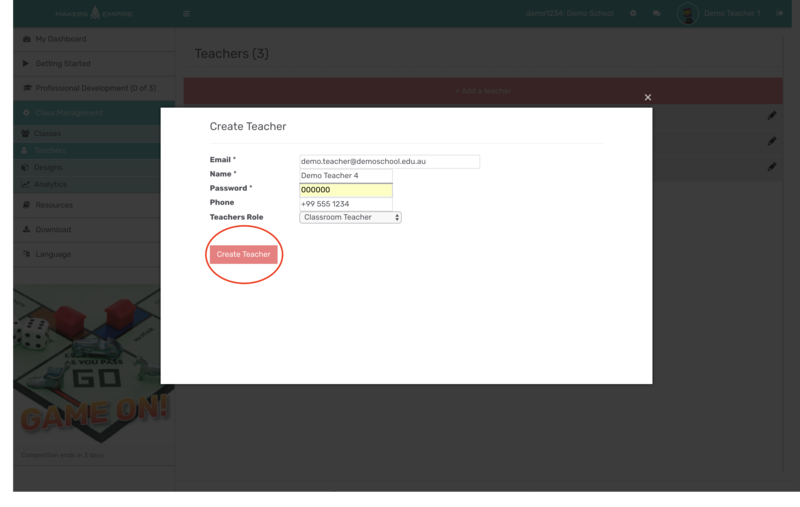 To finish adding teachers, simply click X to close the pop up window. 5. 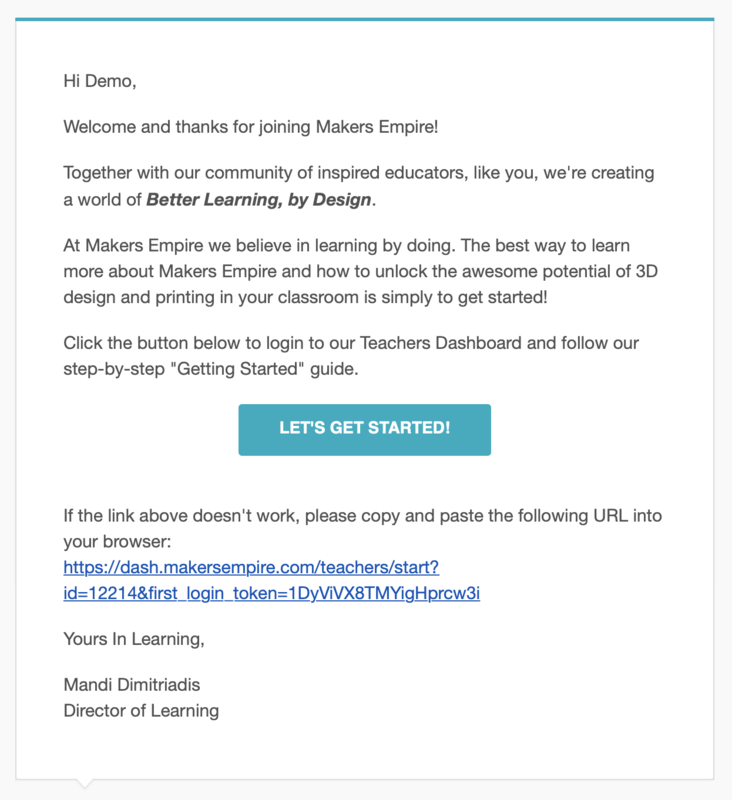 The newly added teacher will receive an email with subject line "Activate your Makers Empire account now" - this email includes instructions on how to activate their account. 6. 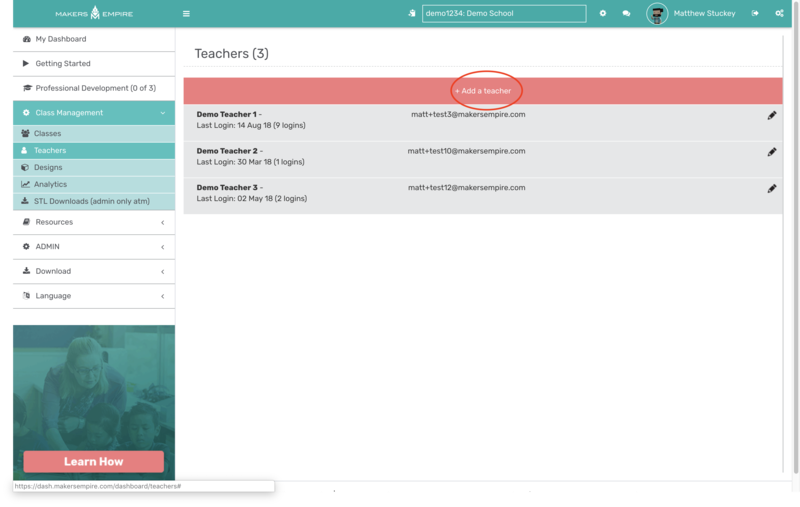 The new teacher will appear highlighted in green until they activate their account by clicking the link in the activate email. If you need to resend the activate email you can do so by clicking the Edit (pencil) icon next to the teachers name and the clicking Resend emails button. 2. 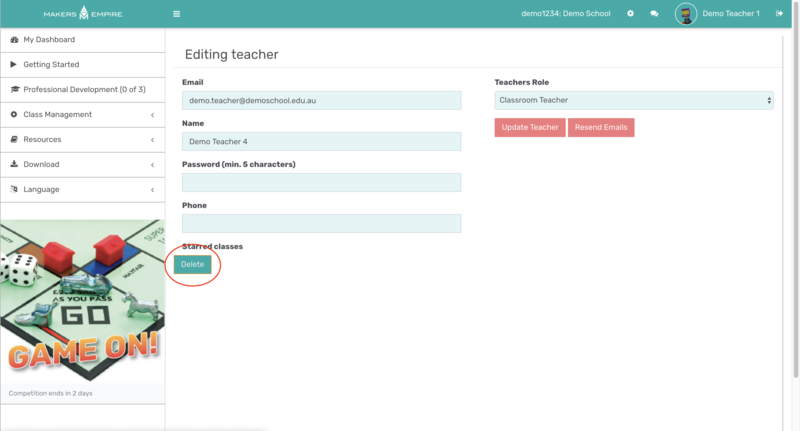 Find the teacher whom you want to remove and click the Edit (pencil) icon. 3. Click the Delete button on the bottom left. 4. A warning pop up will ask you to confirm that you want to delete that teacher, click Confirm. Be careful - this cannot be undone!